It's been a strange few weeks...all rather unsettling, and I feel like I'm going through a bit of a personal crisis. No, not being pregnant itself (I'm actually quite enjoying that, despite the various aches and pains and constant worry that's associated with it) but the ever increasing separation I feel from my life as a runner. The last time I ran was nearly 10 weeks ago. Since then, I have manned check points at both the Thames Path 100 miler, and GUCR, and I absolutely loved both experiences. Both were overnight shifts in excess of 12 hours, and it was a privilege the help the runners as best I could, and to see some truly gritty performances as they battled through epic levels of pain to complete their goals. They were also great learning experiences as I had the chance the see lots of different race strategies and kit choices! However, I'm now too pregnant to be able to support at checkpoints - standing for long periods of time isn't really an option, and I get exhausted pretty easily. I would probably be more of a hindrance than a help. So, although I'm still trying to remain active through walking, and I will soon be going for my first swim in my new maternity costume, I am starting to feel less and less like part of the community, as I no longer share the focus of training, recovery and commitment to the weekly mileage. I'm still following everyone's exploits on twitter and facebook, but I'm not seeing anyone in person at races, and I'm not finding myself as engaged as I was, feeling that I don't really have much to add to conversations about races, or kit, or injury... My focus is becoming more insular I suppose, as I start to prepare, emotionally and practically, for the arrive of our twins. For the past 6 years I have defined myself as a runner. Running has changed me, for the better, in many ways, and the running community has been a wonderful support network and has enriched my life. I feel I have made true friends though my running, but that I am now starting to lose some of those connections, and some sense of myself. I know that inevitably I am going to become "mum" as well as "Naomi", but it's incredibly important to me that that the one doesn't cancel out the other. I know in my heart that in the grand scheme of things, the next six or seven months will pass incredibly quickly, and I shouldn't wish this very special time away. I know that my children are going to become the most important thing in my life, and that my priorities are inevitably going to be very different once they are born. This is as it should be and I'm realistic enough to realise that 145 mile ultras may be out of the question for the foreseeable future, but marathon training is much easier to schedule. I just hope that by the time I am physically capable of a return to training, I haven't lost the desire, and I haven't forgotten that I'm a runner as well as a mum. I have more that I want to achieve...there's more that I know I can achieve. I want to set a great example to my children. I need to do all I can to be healthy...in mind as well as body. 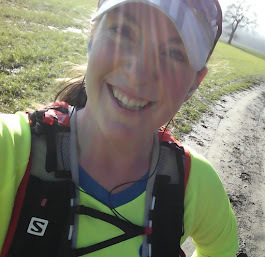 Running will give me all of those things, and I have to make sure I don't allow myself to forget how life-changing it was the first time I became a runner.